So it’s another day for a blog post. What should I talk about today? Well…I recently read The Freedom of Self-Forgetfulness by Timothy Keller. It was a really short and easy read, but it made some great points that I’d like to maybe expand upon. This is a shout out to all the teenagers out there: don’t let your fear control who you are or even more important, who you become. Now by saying this I’m not saying that I don’t have any fear, that I’m not afraid. That would be an absolute lie. I’m afraid, a lot. I’m afraid of failing in my schoolwork. I’m afraid of not getting everything I need to get done to graduate from high school. I’m afraid of meeting new people (it’s not as bad as it was a few years ago). I’m afraid for my siblings and all those people I know who aren’t saved. What if they don’t accept Christ into their hearts and lives? Everyone is afraid of something and these are just a few of mine. And you know many of these fears boil down to? Not being good enough. A fear of being average. And you know what? We will never be good enough. We try day after day to live up to media’s standards or social standards or our standards or whoever’s standards. We try to do this because we care about what people think of us. We want to be popular, to be liked. But we won’t ever live up to these standards or people. We can’t. Our sinful nature will always get in the way. As for me, it matters very little how I might be evaluated by you or by any human authority. I don’t even trust my own judgment on this point. My conscience is clear, but that doesn’t prove I’m right. It is the Lord himself who will examine me and decide. It doesn’t matter what people think. Their opinions do not matter. In the end, we will only be headed to Heaven or Hell. These standards are useless. All we do is full short of them (unless they’re so low as to make us feel bad about having such low standards). The only standard and opinion that matters is God’s. And because of Christ, we are seen as blameless before Him. It doesn’t matter what we’ve done or what we will do. We’re saved forever. So don’t let your fears control you. Don’t worry about what other people think. Don’t even worry about what you think. God’s opinion is the only opinion that matters and He has already proclaimed you His own child! There is no need for fear. This is a time to rejoice! Woah… That was intense. With such a glorious and momentous ending. There wasn’t too much of a cliffhanger. Thank goodness. But I still want the next book now! Nym has risked her life to save a country that held her as a slave and outcast. But in the process, she has loss the few things she held most dear. All because of the shape-shifter Draewulf. Then he takes away her abilities and she realizes that she must stop him, at all costs. She follows him on to a airship headed to Bron searching for a way to kill him, while Draewulf has a more sinister plan than she could ever imagine. When Lord Myles offers her an opportunity to get new powers that could destroy him, she must decide whether it is worth the cost of her very soul. I feel like I flew through this in a daze. It was crazy and intense…and a tiny bit creepy. There was no stop to the amount of emotion contained in this book. I love how it’s told. The similes are absolutely beautiful and made it so real. There was so much suspense and action and just the tense feelings between the characters kept me on the edge of my seat. In the second book of this trilogy, there are new secondary characters and more characters overall that were around and played important parts. So it wasn’t as isolated as the previous book, which was very nice. This was great, but I still miss Colin so badly. He just lightened up the page. There were so many hard decisions made. Ones that blurred the line between right in wrong. It got so twisted. This also made it more dark than the last one, but I loved it and it worked out pretty well. It was very fun and interesting to see more of this world besides just Faelen. Bron was very advanced in technology from Faelen. I wish that it had been more descriptive of it, but considering what the characters were doing, it was fine. Overall, this was an amazing book. I can’t wait to get my hands in the next one. How is it going to end? I’m recommending this to older teens who love fantasy. Such a unique read. 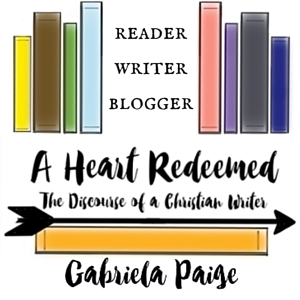 I recently realized that I never did a post about my site’s name: “A Heart Redeemed”. 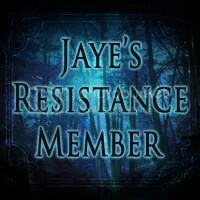 It is not really necessary, but I thought it’d be fun and would be helpful and informative to all those who follow my blog. But here’s a little backstory first, I decided to have a blog after seeing my friend Amanda doing so well at her blog (Go check it out, by the way!). I also thought there were a good many benefits to having one too. I could go on blog tours for books that I love. It could probably help me get the chance to read some books before they came out! I also was inspired by my friend with idea that I could share my faith without sounding intrusive on here. Of course, after deciding to do a blog, I had to figure out a name. That is one of the hardest parts for most people, but it ended up only taking a few hours of brainstorming with my friend. The first name I came up with that I liked was “A Heart Unchained” it reminded me of that verse in the song Amazing Grace, but someone on WordPress already had that name. So then my friend suggested “A Heart Redeemed”. And that’s how I got my site’s name. But what does it mean? Well, it is a term that applies to all Christians. Everyone is a sinner, we all know that. Ever since Adam and Eve sinned, this world has been consumed by sin. What was supposed to be a perfect world, became a fallen one. Before Christ, we tried to redeemed ourselves by following all of God’s commandments and laws and offering sacrifices of animals for our sins, but all those rules only proved how fallen we were. Yet they cannot redeem themselves from death by paying a ransom to God. But then Christ came down to earth, fully man and fully God. He paid the ultimate sacrifice for all of our sins: death. His perfect death was the only sacrifice that could fully blot out all our sin forever and ever. for I have paid the price to set you free. The theological definition of redeem is “to deliver from sin and its consequences by means of a sacrifice offered for the sinner”. That is what Christ has done for us. Christ redeemed us. He has saved us from Hell. He wiped away all our sin so now we look perfect in God’s eyes. So the title “A Heart Redeemed” comes from the fact that I am redeemed through Christ’s sacrifice. We all are redeemed. Christ has redeemed us and there is nothing that we can ever do to repay that. Now tell me that isn’t beautiful. This shows that God’s love for us is more than we can imagine. But as for me, I know that my Redeemer lives, and he will stand upon the earth at last. I hope that you enjoyed this post and learned a little something from it or maybe it refreshed your mind on something that we can so easily forget. Okay. This was way more creepy than I was expecting. It was great, but not as good as its predecessor. In France, Scarlet Benoit’s grandmother is missing. No one believes that it is unusual, but Scarlet knows it is. Wolfe, a street fighter, is hiding something. When she realizes that he may know about her grandmother’s whereabouts and somehow involved, she knows that she shouldn’t trust him. But they get thrust together as he may be her only link to ever finding her grandmother. Meanwhile, Cinder is breaking her way out of prison, with a bit of assistance. But if she does, she’ll be the Commonwealth’s most wanted fugitive. This book was pretty great. It had a pretty interesting start and just got more and more intense as it went along. Close to the end, I was like is this even going to end well? Are all the characters going to make it? Woah… That was a close one. I feel like they barely made it out alive in that book. There was much more violence in this book than the last one. It kind of gave me the shivers at some points. And there was blood. A lot of blood. At least, towards the end. There were a good amount of new characters. Wolfe and Thorne were my new favorites. Wolfe was so mysterious and serious. Thorne was like the total opposite. He was such a rebel and a flirt. I loved how he annoyed Cinder and his humor. Scarlet was good, but I didn’t like her as much as Cinder. And she fell in love with Wolfe too quickly. It almost got inappropriate. A day or two is really fast to fall in love, but it didn’t feel fast unless you actually thought about it. I’ll recommend this too a bit older teens because of the creepy and disgusting violence, but it was fantastic. Such a perfect mix of dystopian and fairytales. It’s really unique. Woah… Where do I even start? What should I say? This book was amazing. One of the best, if not the best, nonfiction books that I have ever read. When I first started this, I felt pretty sure that I was going to like it. I just wasn’t sure if it was going to be one of those books that I have to almost force myself to read or if I was just going to start reading and not want to stop. Well…I didn’t want to stop. Throughout this whole book, there was such a realness to it. It felt so harsh, rough, and real. There was some language and definitely a lot of violence. There was even some mentioning of sexual stuff, I was kind of surprised. But I guess that’s normal for the world. All the people were really interesting. There was at least a little something told about everyone. I must say that I got a bit confused about some of them because there was just so many. Even though it got a bit confusing, but it didn’t effect my understanding of the story. Louis’s childhood was very entertaining. Man, he wasn’t the best of kids, but it was the truth. I loved it. It was very neat to see what the early twentieth century was like. Then how he got to the Olympics at such a young age. It was so incredible and seemed absolutely impossible, but he made it. He showed such perseverance and determination. He was a very fast runner. Louis joins the military and all goes well, except for some terrifying instances, of course. World War II has never felt more real. There is nothing like reading or listening to a first person account of a war to begin realize what war is actually like, even if you’ll never truly know what’s it’s like until you’ve been there. Louis and his mates’ fears, horrors, and terrors became my fears, horrors, and terrors. It was so real. What Louis survived through only to get captured be the Japanese…is unreal. I can hardly believe it. This book can really give you a fear of sharks. Then the way he was treated by the Japanese was gut wrenching. I can’t even begin to imagine the pain and starvation and everything else he went through. It was inhuman how he was treated. He and so many others. And it just got worse and worse…and worse. He was kept prisoner for about two years and he survived! He showed so much resilience. It was heartbreaking to see what his family was going through at the same time. It must’ve been so stressful for them. Last of all, his conversion story was fascinating. Such an amazing thing to read about. The ending was beautiful and filled with hope and joy and a tinge of sadness. I’m recommending this to older teens and up. I think everyone should take the time to read this. It was so good, but horrible too, if you know what I mean. It’s a incredible true story that you won’t soon forget. There was a different feel to this book from others that I’ve read. But it was really great. In the futuristic world of New Beijing, humans, androids, and cyborgs thrive. A disease threatens their extinction, while the mysterious Lunars wait to take control and make everyone their slaves. Cinder is a cyborg from an hovercraft accident when she was eleven. She lives under a cruel stepmother and two stepsisters, one of whom has much sympathy for her. That stepsister gets the disease and being blamed for it, Cinder gets thrust into a whole new realm. One where she finds out secrets about herself and keeps running into Prince Kai who seems to be falling more for her each time they meet. Should she risk telling him that she’s a cyborg? A thing that everyone is disgusted by? And why is she falling for him? I loved Cinder and Kai. Cinder felt so realistic, for a cyborg anyway. Her thoughts and actions felt normal. Kai was fun and kind, but to those he didn’t like, he was as polite as a snake. I loved the humor that came from him. The moments with Cinder and Kai were filled with excitement and awesomeness, while being stressful. It was spectacular! There was plenty of action and the anxiety levels ran high. What a ride! I loved it so much! Cinder had such a fighter spirit in her and held so many secrets to protect. Kai had a country to rule, when he felt too young. So many people’s lives were in his hands. Then they were on the edge of war with the Lunars, which they couldn’t possibly hope to win. I had no problems with this book. There was a kiss or two and some violence, but nothing at all to worry about. I’m recommending this to teens and up. It was a fantastic dystopian and fairytale mix. I want the next one. I did a teeny tiny bit of writing. Like 125 words. *hides* I know, it’s been two months now since NaNoWriMo. I really need to get back to it. I need a boost or something. Help me out! This was another month of pretty good reading. Ashburn: This was very fun and exciting! There was lots of action. The Exiled Queen: Why did I read this? It ruined my favorite character through the actions he chose. Harry Potter and the Goblet of Fire: I recently had rewatched the movie version of this so I just had to reread the book. So good. In His Steps: Great book. It gives you such motivation to truly live for Christ. I had forgotten most of it so it was great to reread for school. The Elfstones of Shannara: The Shannara Chronicles (a new tv show) is based off of this book. I really enjoyed this book, but I didn’t get as into it as the first one. But I can’t wait to read more. Cinder: I was a little nervous at starting this. I mean, a cyborg? But only a little bit into it, I knew I shouldn’t have worried. It was fantastic! Stormbreaker: Good book, for a kid. To me, it felt a bit unbelievable and had too many coincidences. Up From Slavery: A very interesting autobiography Just not really my thing. Unbroken: Oh my word!!! This was absolutely amazing. It was so so so good. I mean, what happened to Louis wasn’t great, but it was a very powerful and moving story. Everyone needs to read this at some point in their lives. Mama’s Bank Account: Such a funny set of stories…with great life lessons. Scarlet: It wasn’t as good as Cinder, but it was still wonderful. It was kind of creepy too. I wasn’t expecting it. But I love Wolfe! One Thousand Gifts: Sadly, I haven’t read any of it this month. I need to get back to it. The Finest Hours: Really neat. Almost unbelievable. I can’t wait to see the movie! The Blacklist. What did I get into? I just finished season two last night. And I started it January 2nd. That is forty-four episodes in how many days? Yeah, I know. But it is so amazing. James Spader plays the main character and I just love him! He also does the voice of Ulton in Avengers: Age of Ultron. His voice is. Just. Awesome. Integrity: What Is Your Foundation Built Upon? I found this quote in The Finest Hours and thought that it fit this post. It is true though isn’t it? We each have a reputation. It is what people think of us from our actions, words, and just by our way of life. But God looks at the heart. At our character. At our integrity. So, of course, we should all want to have integrity, because that is what God’s looking at. What He cares about. It doesn’t matter what the world thinks, because we aren’t looking for the world’s glory but God’s glory. To receive that we need to have a firm foundation to build our integrity upon. If we don’t have a firm foundation we are like the man who built his house upon the sand. When the trials and struggles came, everything collapsed. I don’t want to be that person who seems to have strong beliefs. But when the hard times came I come to realize that my foundation was built on stuff that only lasts maybe a little ‘while before failing. I don’t want you to be that person either. We need that strong foundation. Only one person can give us it. God. No other person, thing, or even yourself can give you a strong foundation. Because at one point or another everything else will fail. But God won’t. He will never fail you. And I know by now that you’ve probably tired of me telling you that. But it is so important. And something that is so easy to take for granted. Unknowingly, we sometimes built our foundation on idols like money or family. Somehow we think money can save us, but it can be taken away in a flash. As can anything else of this world. Just like sand. But God lasts forever. If we make Him our foundation, it will never be taken away. He is ever-lasting. From there we can build our integrity, our good character. All we have to do is follow Him and make Him the center of our lives. So what is your foundation built upon? Do you have integrity? Do you have good character? Let’s make sure to examine our hearts and make sure that we don’t have something else besides God as our foundation. That could only lead to disaster. Let’s not rely on something that’s unreliable, but on something permanent. I make mistakes, everyone does. But having God as your foundation is so important to being a Christian. It would be so much easier to turn away from the truth if God is not our foundation. Can you even be a Christian without God at the center of your life? God must be our foundation. Beginning with God as our cornerstone, we can grow in our faith and in our integrity, by building upon Him.